Whilst it’s true that we don’t buy van-based MPVs for the glamour, we do buy them for their practicality and use, and for this reason the Fiat Doblo van has to be an attractive proposition for consumers. Naturally, whilst we don’t buy van-based MPVs for the glamour, we do want them to look moderately good if not completely stunning. After all, if something that looked like a wheelbarrow could do all the jobs we need, it doesn’t mean that we’d all be rushing out to buy one. The Fiat Doblo 7 seater is not the most stylish vehicle out there, but its utilitarian nature and spacious interior combines with its practicality to make it worth a look. 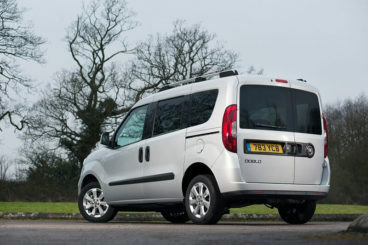 Let’s take a closer look at what the Fiat Doblo offers with our Fiat Doblo review. 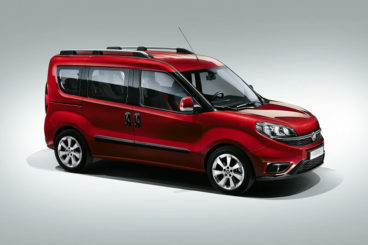 The Fiat Doblo engine range is largely built around the Fiat Multijet diesels. This is a good thing, because one of the problems with the previous model was that it was just too darn slow, with the Fiat Doblo engine range failing to come up with anything that could reach 60mph from rest in less than 20 seconds. That barrier has now been smashed. The base-level 1.4-litre 95bhp petrol unit accelerates to 62mph from rest in 15.4 seconds, whilst the 1.6-litre diesel offering gets there in 13.4 seconds. The 2.0-litre diesel unit fares even better, achieving numbers of 11.3 seconds. None of these engines are what we might call speedy, but there is enough muscle and promise here to counter the hefty payloads that will otherwise saddle the Fiat Doblo van. Moreover, the 2.0-litre diesel comes with 320Nm of torque, as well as a much improved suspension system. 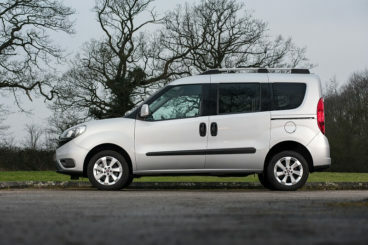 The dimensions here are very boxy, which is probably to be expected for a van-based MPV, but what it does mean is that the Fiat Doblo comes with a vast quantity of space. As mentioned, it’s never going to win prizes for style, but with a deep grille and big headlights at the front, it’s got an assertiveness that makes it fairly appealing. The real talking point is the size: with a length of 4,390mm and a width of 1,789, it’s one of the heftiest models in the van-based MPV sector. Headroom is to be found in abundance, whilst the boot is practically akin to a quarry. If you do choose to opt for the Fiat Doblo 7 seater as opposed to the 5 seater, boot space is a very generous 3,200-litres with the seats folded down. The five-seater offers space of 790-litres. 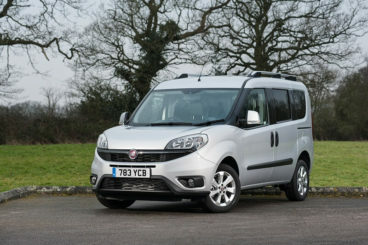 Your Fiat Doblo deals will include three trim levels: Active, Dynamic and Eleganza, with a fairly hefty premium of £3,000 to pay if you want to opt for one of the diesels. For the popular active trim, Fiat Doblo van specifications include ESP stability control, front and side airbags, as well as a CD stereo and remote central locking. Fiat Doblo deals also include the option of choosing a Family Pack, which essentially means you get the Fiat Doblo 7 seater, which comes with alloy wheels, front fog lights and a Fiat Doblo roof rack. 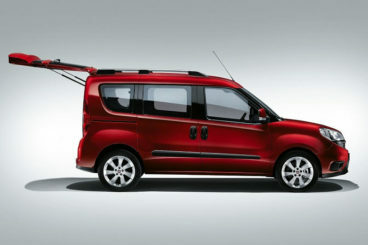 Integrated into each Fiat Doblo van is the brand’s Start&Stop technology which improves running costs. The 1.4-litre engine offers mpg numbers of 39, whilst emissions stand at 166g/km. The 2.0-litre Multijet returns figures of 50mpg and 150g/km. Whether you opt for a Fiat Doblo van or a used Fiat Doblo van, you’ll be getting your money’s worth. This vehicle doesn’t like to beat around the bush, and it’s only remit in life is to get the job done – and get it done well. If you want to get hold of a new Fiat Doblo van don’t hesitate to leave us a message on our contact page, or give us a call on 01903 538835 to find out more about our Fiat Doblo van lease deals.